Want to extend your stamina when training? Want to burn more calories when running? Want to increase your lung capacity? Look no further and get this breathing mask now! 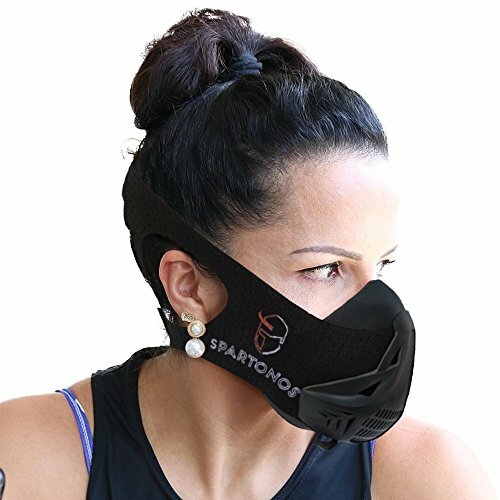 This running mask help controlling your breathe and decreases the oxygen intake. What happens when limiting the oxygen inhaled is that your lung will work harder and oxygenate more blood, which will increase blood circulations, improve your physical strength, and increase lung's capacity. Unlike a lot of other training masks, this training mask is simple to use. Air resistance mode can be switched effortlessly by pushing the lever from left to right. Moreover, the face side of this altitude mask is made with silicone which is ultra soft and comfortable! What are you waiting for? Press "ADD TO CART" now! 100% satisfaction gurantee, with 30 a day return policy not questions asked! **Warnings** Do NOT use this air restriction mask when sleeping or you are allergic to silicone. If you have any known illness such as asthma, lung disease, heart disease, thromosis, and respiratory disease, consult your doctor for consent before use. In case of dizziness, headache, or health issues, stop using this Endurance mask immediately. Use this mask at your own risk. [DESIGNED FOR YOUR COMFORT] We have engineered this endurance mask with details to provide you the best comfort. The strap is adjustable for different head sizes, and the mask's side to the face is made with soft silicone, enjoy using this breathing mask as if you are not wearing it! ★★[MAKE SURE TO PURCHASE FROM SPARTONOS to get this mask!] - Any other seller will not be selling this workout mask for exercise that is reflected on this listing and reviews. If you have any questions about this product by Spartonos, contact us by completing and submitting the form below. If you are looking for a specif part number, please include it with your message.